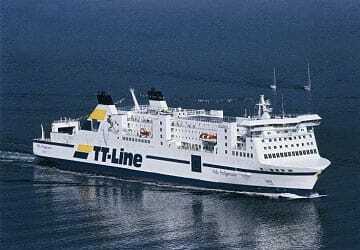 The Travemunde Trelleborg ferry route connects Germany with Sweden. Currently there is just the 1 ferry company operating this ferry service, TT Line. The crossing operates up to 21 times each week with sailing durations from around 8 hours 15 minutes. Travemunde Trelleborg sailing durations and frequency may vary from season to season so we’d advise doing a live check to get the most up to date information. Prices shown represent the average one way price paid by our customers. The most common booking on the Travemunde Trelleborg route is a car and 2 passengers. Excellent trip, 9 hours went so quick! Excellent service, friendly staff and spotless ship. No complaints at all. A good balance to be able to take a break from driving the car. You get to rest and also get to speak to people in the coffee bar. Good and clean beds. "Travemunde - Trelleborg august 2014"
A very good experience for us - we travelled by car with two children aged 9 and 11. Check in was amazingly quick and we were let on the ship in good time before it sailed, giving us plenty of time to check out the facilities. Had our evening meal in the bar area with a great front view (bar had a snack menu with a few small dishes and snacks to choose between). We chose a more spacious cabin, which was worth the price for the extra space and front view. We were very happy with the service and will certainly use the same ship also next time. The German town of Travemunde is located in Lubeck and lies at the mouth of the River Trave in Lubeck Bay. Founded in the 12th century by Henry the Lion, Duke of Saxony, when he built a fortress to guard the mouth of the River Trave, the town was later improved by the Danes and became a town in 1317. The town is now the largest ferry port in Germany on the Baltic Sea and since the early 19th century it has been a popular tourist resort. Popular attractions in the town include its lighthouse which dates back to 1539 and is the oldest along the German Baltic Sea coast. Another is the museum ship, the Flying P-Liner Passat, which is anchored in the mouth of the River Trave. Motorised vehicles are prohibited from using the town's main street, Vorderreihe, and the coastal promenade. There are buses that run to the town and the connection point is the train station. Riding a bike or walking is usually preferable as most of the streets are narrow and often get congested with cars driven by inexperienced drivers. 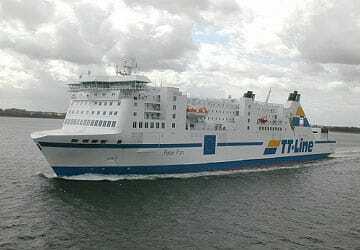 Ferry services from the port depart to Sweden, Finland, Russia, Latvia and Estonia. Trelleborg is Sweden's southernmost town and can trace its history back to the 13th century when the town was presented as a wedding gift to the Swedish Prince Valdemar from the Danish Royal Family. The town was later reclaimed by the Danes who ruled it until 1658 when it passed back to Swedish rule. today, the town is often visited by people who are travelling between Sweden and Germany because of the ferries that depart from the town's port to Rostock, Sassnitz and Lubeck and Travemunde. 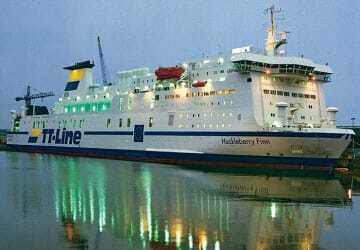 These ferry routes began to operate in 1897 with the Sassnitz line and the route to Travemunde established in 1962 and the route to the former East German city of Rostock established after the fall of the Berlin Wall in 1989. 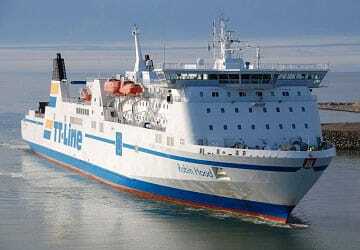 The ferries that operate on these routes can carry both foot passengers and cars along with heavy trucks that are usually en route through Europe. In 1917, Lenin arrived by ferry from Sassnitz to Trelleborg on his way from exile back to Russia to lead the Revolution.